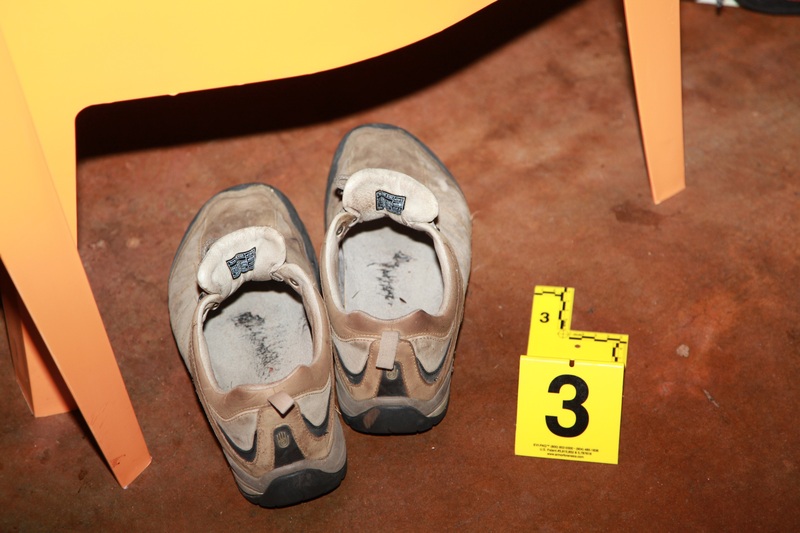 On the night of March 4, 2014, LBPD homicide detectives placed an evidence marker near a pair of shoes that Huck had worn. Just inches from the marker, blood evidence can be seen on a chair. However, the detectives failed to make note of the blood, and did not test for blood anywhere in the house during their search that night. Evidence marker near overlooked blood evidence in LBPD photo. 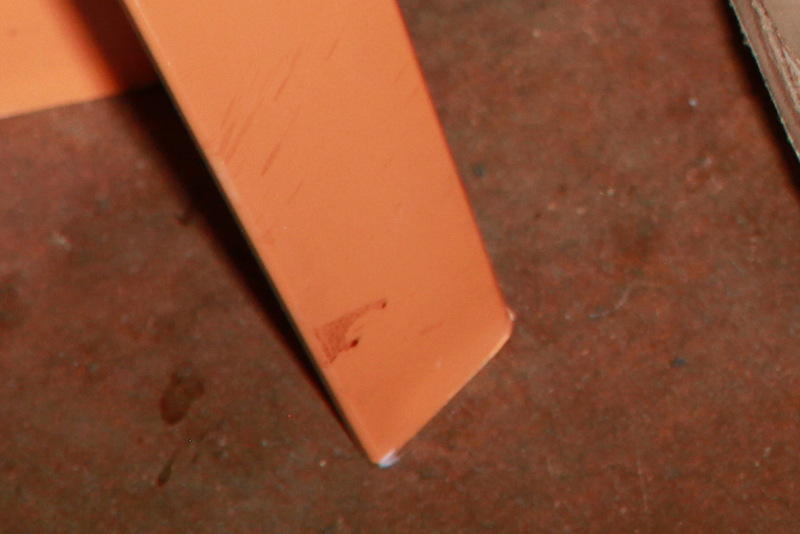 Detail shows blood on a chair leg. 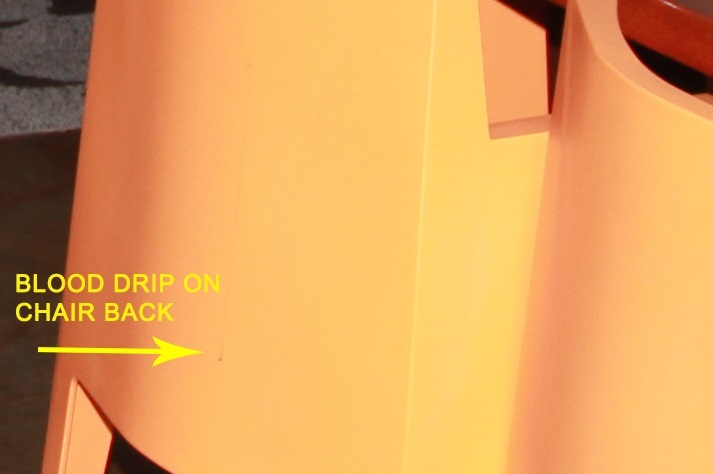 Detail shows blood drip mark on chair back. 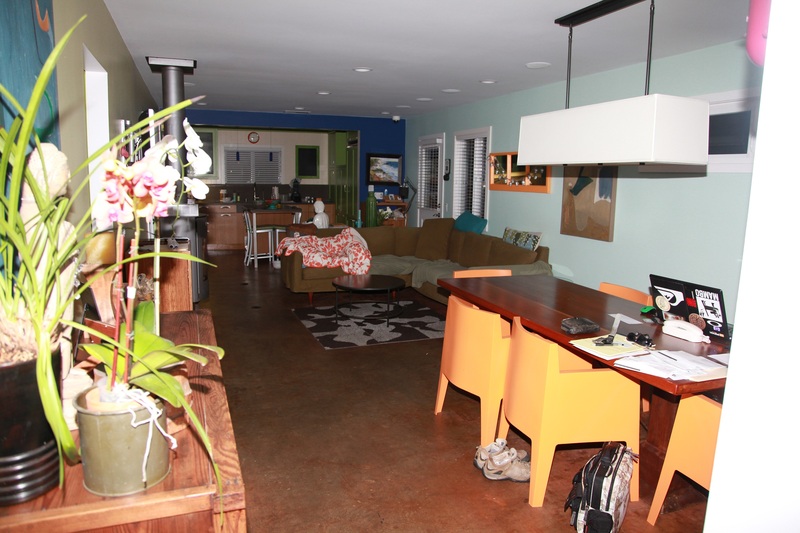 The chairs with blood are located far from the yoga room.